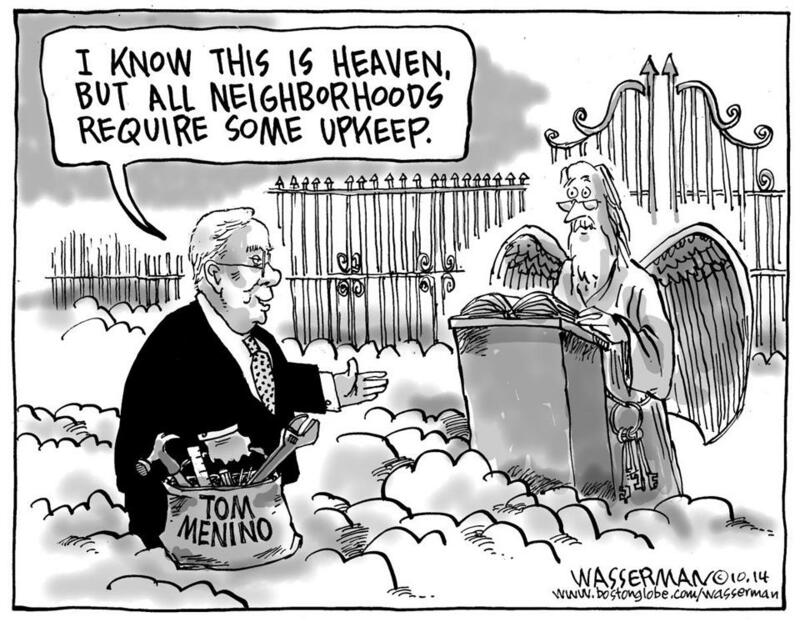 As we have noted on numerous occasions, Boston is lucky to be not only a two-daily town, but a two-cartoonist town as well. 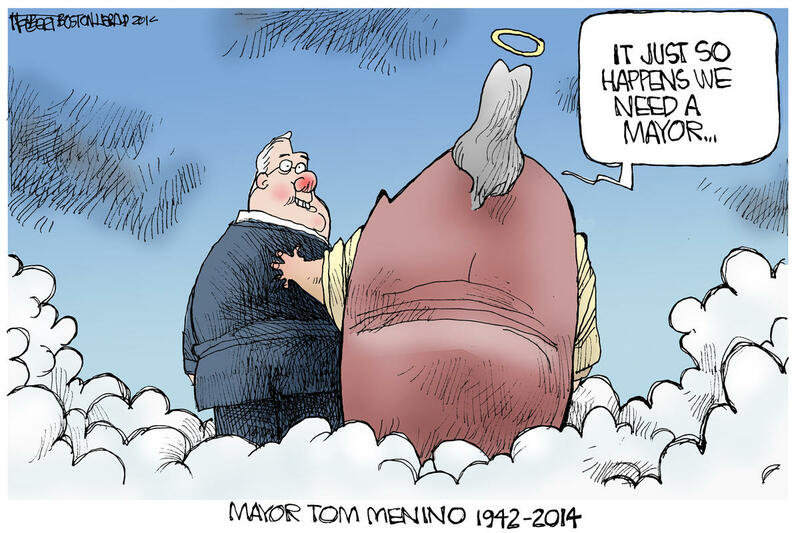 And both weigh in on the death of former Mayor Tom Menino in similar style today. Two for the road, yes? This entry was posted on Friday, October 31st, 2014 at 1:06 pm and is filed under Uncategorized. You can follow any responses to this entry through the RSS 2.0 feed. You can leave a response, or trackback from your own site.